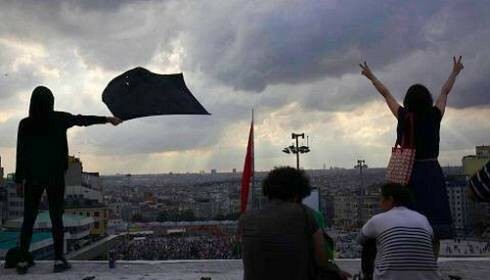 A recent poll conducted by KONDA on 4411 participants on Gezi Resistance revealed that Gezi protestors are averagely 28 years old with 79 percent not affiliated with any political organization and 45 percent attending a protest for the first time. KONDA Research and Consulting Firm released a poll regarding the Gezi Park Resistance in Turkey. According to the poll, 49 percent of participants attended protests to condemn the police violence and 69 percent hearing about the protests through social media. Another striking result of the poll was that 47 percent of participants thought there is no political party in Turkey that they can vote to and 79 percent with no affiliation with any organization. The poll has been conducted on 4411 participants on June 6 and 7, news website T24 said. * How did you hear the protests? * What are you demanding? * Why did you come to Gezi Park? * Are you currently a member of any organization/party/association? * Did you vote on the last elections ? Will you vote on the upcoming elections? * Are you working or student? This entry was posted in Texts, Uncategorized and tagged background, gezi resisters, poll, protesters on 13 June 2013 .